MOSCOW (Sputnik) — Myanmar has denied all UN agencies the ability to deliver aid to the northern part of the country's Rakhine state amid clashes between Buddhist forces and Rohingya Muslims, The Guardian said Monday, citing the Office of the UN Resident Coordinator in Myanmar. 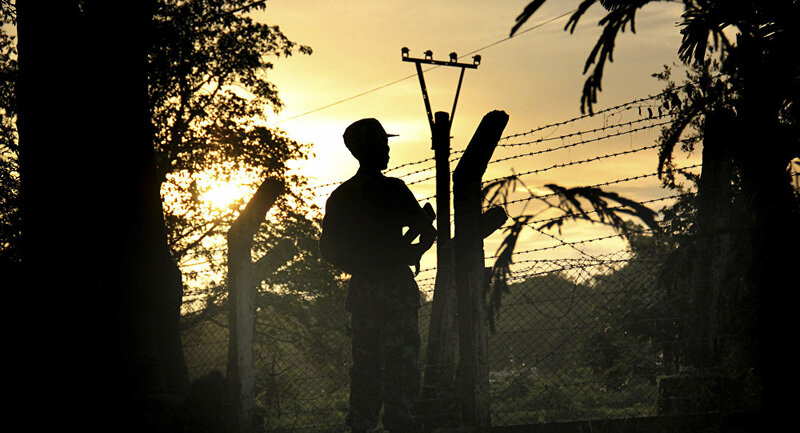 Last week, Muslim insurgents of Rohingya origin attacked security posts in Rakhine. The attacks prompted a harsh response from authorities. According to the International Organization for Migration's (IOM), more than 18,000 Rohingya refugees have fled to Bangladesh since ethnic clashes flared up. "The security situation and government field-visit restrictions rendered us unable to distribute assistance. The UN is in close contact with authorities to ensure that humanitarian operations can resume as soon as possible," the UN representatives told The Guardian, confirming that deliveries to northern Rakhine were suspended. Meanwhile, aid continues to be delivered to other parts of Myanmar's westernmost state. Earlier in the week, Myanmar's military reportedly said that almost 400 people had died in clashes between the country's security forces and Rohingya Muslims. According to authorities, among those killed were 370 Rohingya insurgents, 13 members of Myanmar's security forces, two government officials and 14 civilians. The violence provoked criticism from the international community. Rakhine is the site of frequent clashes between Myanmar's Muslims and Buddhists. The conflict that started about a century ago has gradually escalated since 2011 before hitting its peak in 2012, when thousands of Muslim families sought asylum in the special refugee camps on the country's territory or fled to Bangladesh. Yet another escalation started in 2016.